Earlier this month, we invited the singers from four New York-area groups to come together on the neutral turf of Rolling Stone's Manhattan office. The Jerrys – David Frankel of Shakedown, Michael Morrow of Pure Jerry, Mark Diomede of the Juggling Suns Project and Jason Smith of the Remnants – explained what it's like to perform the band's songs, competed against each other in a round of trivia and shared stories from their first Dead concerts. The name Morrow originates from the Scotch-Irish word meaning “Sea Warrior.” Can there be a name more appropriate for a conscious-minded musician raised in the quaint seaside town of Ocean City? That town on the Jersey shore is where Tavi and I were courteously invited, for an afternoon at his digs, a few steps from the beach. In the Philadelphia music scene and beyond, Michael is a guitar legend. Several bands immediately come to mind, Pure Jerry, Gratefolk, Dean & Co. and Dead Reckoning, all tributes to the music of Jerry Garcia and the Grateful Dead. Beyond these current projects, Michael’s musical resume is impressive. He produced and released two albums of original music, contributed on other albums, jammed with Bob Weir, Merl Saunders, and others. 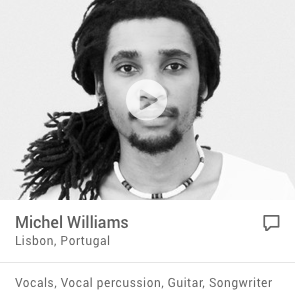 Michael is also a frequent walk-on for live performances ranging from folk to reggae. Last summer, we fondly recall an outstanding reggae set at the In & Out Festival (https://www.facebook.com/Musicatsnipes/#) with the Philly band Jah People. We have known Michael for some time now, always impressed with his musical range and artistry. Consequently, we “reckoned” that there was a fascinating life story to tell. When we arrived at his home, neatly set out with guitars and amps, a Burning Spear MP3 was playing on his sound system. We discussed his background, family, influences, philosophy, and the Grateful Dead. Tavi: When did you first begin to pursue the guitar? Jerry Garcia would also become adopted half-side. His father, Jose Ramon Garcia, was a retired professional musician, who died when he was only 5 years old, in a drowning accident. Jerry was named after Jerome Kern, who was an American composer of musical theatre and popular music composing over 700 songs. Tavi: How did you latch on to the music of Jerry Garcia? John: What do you like about the Dead? John: At some point you discovered that your life was coincidental with the Dead. 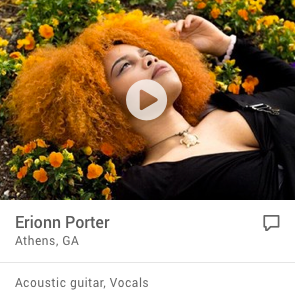 Tavi: Who are some of your other musical influences? 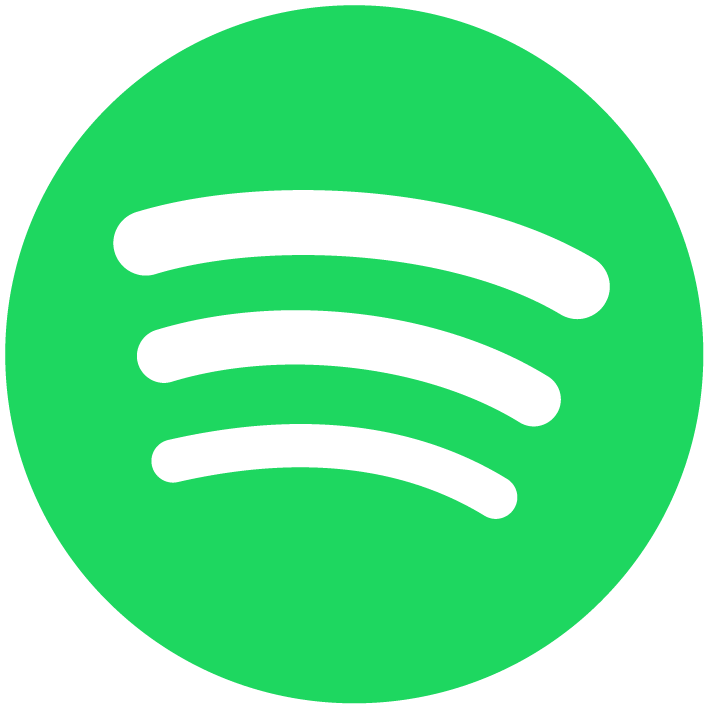 Tavi: Do you have your own music? “I made two records in the early 90s for Ikon records, which was a part of the Sigma Sound Studios. They were a funky original Philly style type of music. We had a blues traveler, without the harmonica type of approach. The records are out of print. But, I did do two more solo records, one in 2002, and another in 2006. The latter of which I did all myself, and I played all the instruments. And, a big reason for doing that was to learn how to be an engineer/producer, in my own home studio. So, the last record I did was a trial for me as a producer, producing myself. And, that music was more of a funky genre type of record. 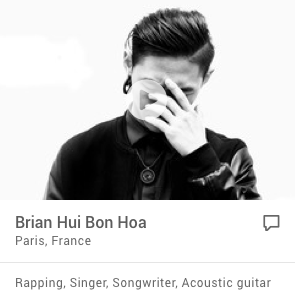 Some of it was a more of a singer-songwriter.. Some of it was funk.. Some of it was topical blues rock. It had a lot of different styles. I did some reggae, and all different kinds of music. I’ve played so many different types of music in my career, when it comes to recording it just kind of easily flows out. I don’t really limit it to one genre. And, most of the genre music I do is just playing for other people as a side band, or as a hired gun.” Jerry Garcia once said, “And for me there's still more material than 20 lifetimes that I can use up.” Robert Hunter mentioned that “Jerry Garcia died just as they were entering a new phase of songwriting.” Morrow also writes lyrics, so we hope to hear some new original music coming out in the future. Tavi: What else do you recall as a significant part of your career? Tavi: Did you ever get to meet Jerry? Tavi: When you are playing onstage, what are your aspirations for the crowd? 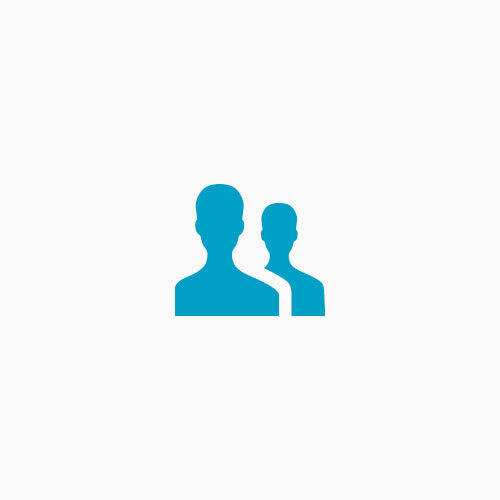 John: As a musician you are a facilitator of a group scene…. Tavi: Did it take a ton of work to get good at the guitar, or did it also come naturally? “The guitar was a ton of work. The guitar was a real labor. I was always conscientious in practicing. It was always a workload. I used to play hours, and hours, and hours a day, until my fingers were literally bleeding or heavily blistered.” Bob Weir once stated, “I don't know if I discovered I had any talent. It was dogged persistence. I had to have the music.” You have to practice hard at what you do, and maybe those elect moments will come around, and meet with one’s preparedness. Tavi: With everything that it took you to get to where you are today, are you satisfied with your current level of musical technique? John: Is there a certain festival that you particularly enjoy playing? John: Do you think there exists a Reggae and Grateful Dead crossover? John: You wrote a contrarian response to an article about cover bands. You said how it was an honor to play the music of Jerry, and how it was not a replication. John: Well, you are more than a Deadhead. You’re an apostle of that music. John: I would say an apostle, because you’re guitar testifies! John: Well, the Deadhead is an experience, so you need people to play live, to keep it alive. On Saturday, December 1st from 7:30 pm – 9:30 pm The Dean Randazzo Cancer Foundation is holding their third annual Concert for a Cause at Clancey’s by the Bay located at 101 E Maryland Ave, Somers Point, The Spirit of Jerry Garcia will be resurrected as the renowned Grateful Dead Cover Band, Pure Jerry, performs live all your favorite music from The Grateful Dead and Jerry Garcia. 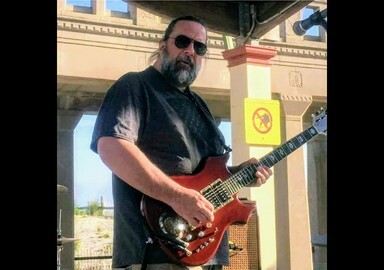 Frontman Michael Morrow and the entire Pure Jerry Band possess the “X Factor” and have had long careers summoning the spirit of the legendary Jerry Garcia. They have built a reputation for delivering transcendent performances that move the body and enrich the soul. 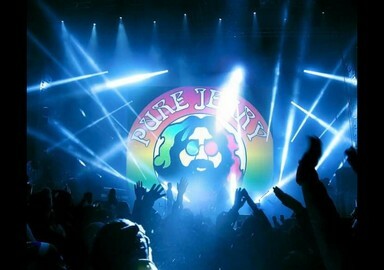 Pure Jerry will perform from their boundless and classic songbook and embody the very culture and vibe the original group brought to millions of fans since the 1960’s. Tickets are available at the door for $20 and include two hours of domestic draft beer and house wine. Prize auctions and DRCF merchandise will also be available for purchase. The proceeds from this eventful evening will go to the Dean Randazzo Cancer Foundation. Dean Randazzo, a.k.a. “The Jersey Devil” has been crowned New Jersey’s most accomplished surfer. But it wasn’t always smooth sailing for Dean. Passionate and relentless about his surfing career, Dean often lived on yogurt samples in order to scrape up enough money to compete around the globe. His sacrifice paid off. Dean qualified for the ASP World Championship Tour in 1996, the first New Jersey competitor to do so which was the springboard to a very successful surfing career, but in 2001 the unthinkable happened, Dean was diagnosed with Hodgkin’s Lymphoma. Dean struggled with the decision to go public with his disease for fear of losing sponsorships, but Dean is a guy that feared very little and that always operated from strength. Dean soon realized that he could use his affliction to educate and help others who are battling cancer as well. In 2001 he made the decision to announce to the press that he was battling Hodgkin’s Lymphoma at the U.S. Open of Surfing in Huntington Beach, Calif. After he announced there was an outpouring of support which empowered Dean and strengthened his resolve. He knew this was an opportunity to help others. Soon after the Dean Randazzo Cancer Foundation was born. Since 2001 Dean has used his influence to raise more than $500,000 through his foundation and has donated to individuals battling cancer and their families. To assure his foundation was making the biggest impact possible, over 90% off all proceeds raised by his foundation go directly to the cause. The foundation is operated on a volunteer only basis and doesn’t pay salaries to anyone. The foundation also provides grants to local organizations including the Ruth Newman Shapiro Cancer Fund, Shore Medical Center Cancer Center, Gilda’s Club of South Jersey, The Leukemia and Lymphoma Society of South Jersey, Cape Regional Cancer Center and AtlantiCare Cancer Center. Dean always knew he’d do great things. After emerging victoriously following four rounds of Hodgkin’s Lymphoma’s, his foundation created over a dozen events that directly benefit those families struggling with the devastation of cancer. Dean believes that all battles can be won, and his upbeat and empowering personality embodies that of a fearless warrior whose proudest accomplishment is helping others. Since its formation in 2011, the group has maintained one goal... to bring life and spirit to the music of Jerry. What began as our "motto" became our name. 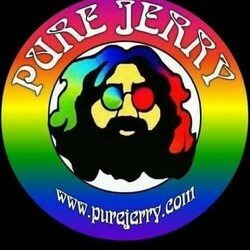 Pure Jerry continues on its mission playing great Garcia songs. Fronted by journeyman jam guitarist Michael Morrow (The Schwag), the band explores a vast and classic songbook, showcasing versatile and fierce musicianship and renouned signature vocals...uncanny, haunting and unmatched. Pure Jerry bassist, Steve Peel, is an emulator of John Kahn. Keyboardist Tim Eddlemon (Forgotten Space) hails from Dallas, TX and is the newest member. Drummer Stephe Ferraro (Boris Garcia, Gratefolk) is an original member and anchors the band with his vast knowledge of the catalog.